Google Drive is a file storage and synchronization service provided by Google, which enables user cloud storage, file sharing and collaborative editing. 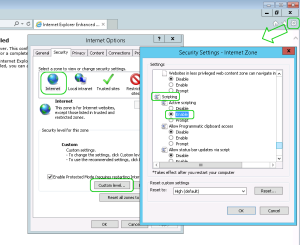 It can also be considered an online drive, that can be accessed through any browser and mobile device. 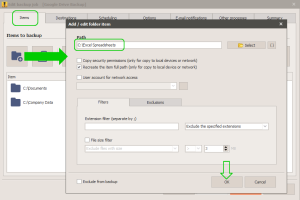 Unfortunately, the synchronization tool provided by Google Drive doesn’t guarantee a real protection against some ransomware like Cryptowall, Cryptolocker, Locky, WannaCry, etc…, since they can encrypt the local Google Drive folder, and, consequently, you will lose all your online files once local files are uploaded for synchronization. 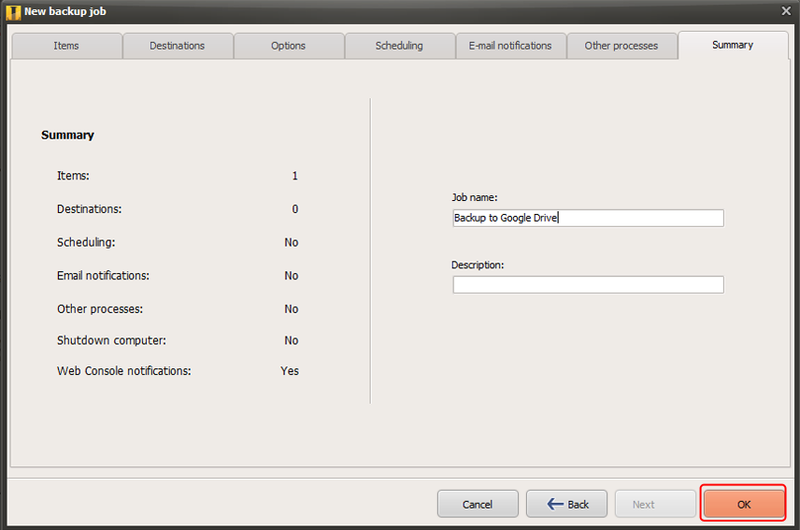 Among the great online backup features of Iperius, you also have the chance to make a Google Drive backup. 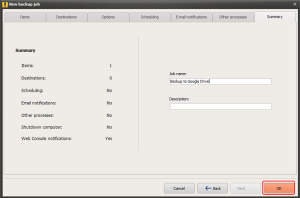 This allows to save your files remotely on Google Drive in a very easy way (cloud backup). 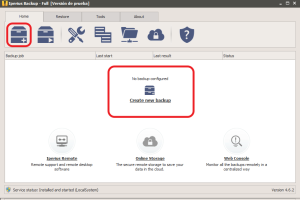 Iperius allows you to make compressed backups, incremental and differential backups. Iperius is also very fast in upload operations since it sends multiple files at the same time. 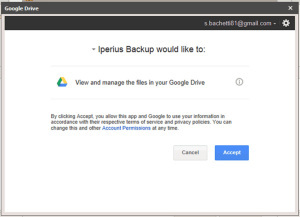 Iperius can backup your files also to other cloud storage services, such as Microsoft OneDrive, Azure, Amazon S3 and Dropbox, and even to FTP servers, but this tutorial is focused on Google Drive. Now add a new cloud destination. 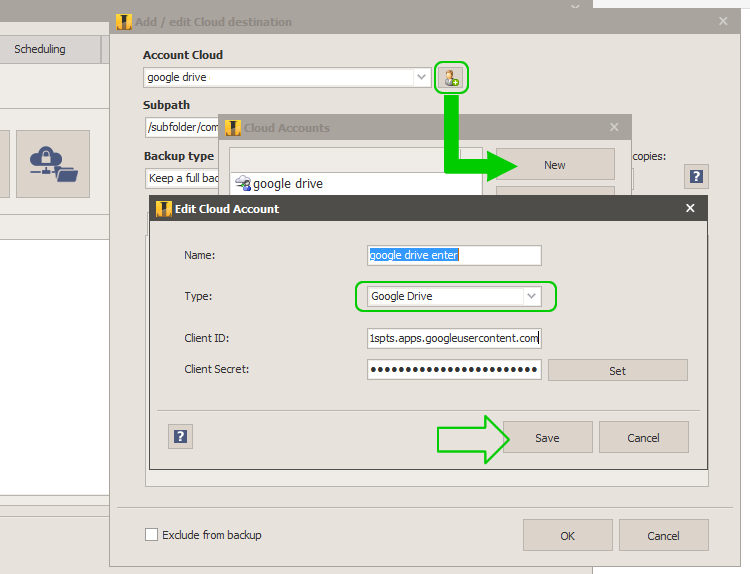 As you can see in the picture below, you first have to add and select a new Google Drive account. To get the login data for the Google Drive account, you must access a dedicated area provided by Google, where you must enable the Google Drive API and generate a key pair. 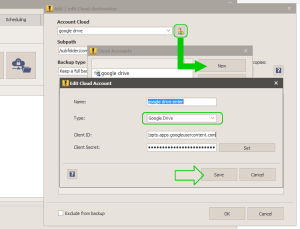 To do that, please read this tutorial: Enable Google Drive API and get an authentication ID. Finally, in the last panel, choose a name for the backup job and click “OK” to save it. 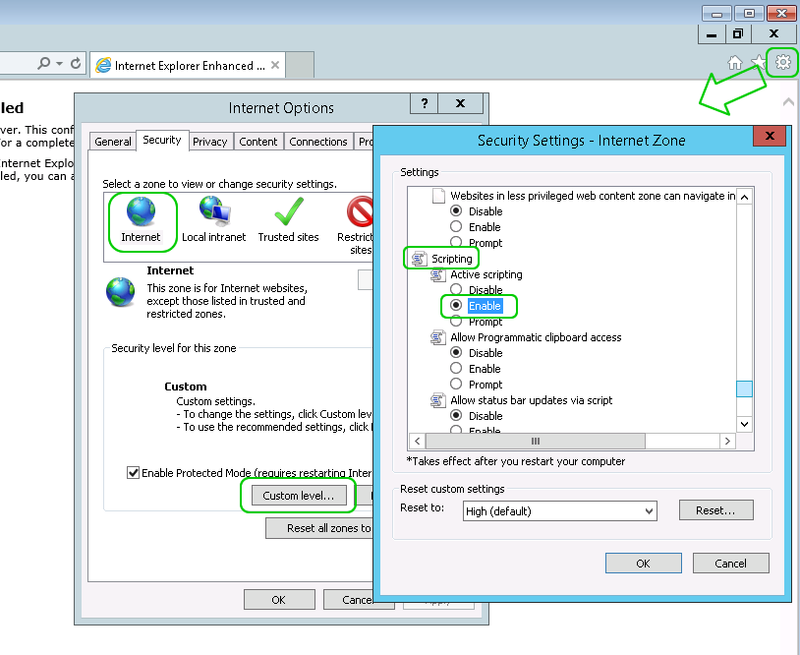 Once the new backup job has been saved, you will be able to run it with a simple right click. 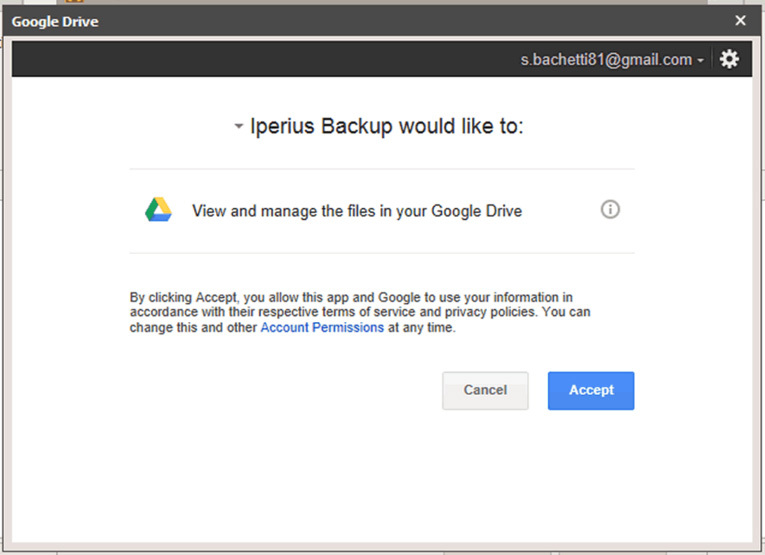 Iperius will send your files to Google Drive very quickly. It can compress and encrypt them in a single zip file, or it can also send all files as they are in the local folders, perfectly recreating the directory structures. 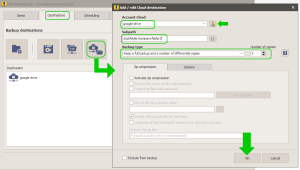 Incremental and differential backups are also supported, to reduce space consumption and increase upload speed. Everything will be made keeping both maximum safety and data integrity. 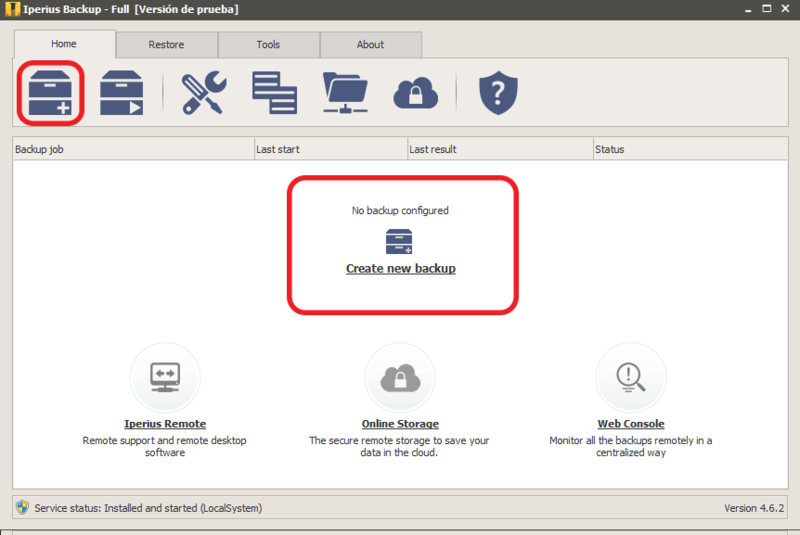 Iperius is a complete and extremely reliable online backup software, that also supports FTP, FTPS and SFTP (to know more about data safety for remote backups, read this article). Tough to trust a software with bad spelling. can you please specify where did you find bad spelling? This can help us to improve the translation. Correct. A wrong backup strategy could make you lose all your files. We always recommend to create different schedulings and different destinations. Anyway, using the Iperius option that allows to detect encrypted files, is a good protection for the integrity of backups. I have been successful in backing up to Google Drive for the google account used in acquiring API creds. I need to back to the Google Cloud storage project account I currently am using (trial period). I enable the Cloud Storage Service API and it has the same creds as Drive. Not sure what to do? Hi, Iperius only supports Google Drive API not Cloud Storage API. How would you do a restore if needed? We’re looking to archive photos and videos to the google drive to free up local disk storage. I tried the google drive app which doesn’t seem to be an option with it’s two way syncing. Does this backup software require moving files to a folder similar to what the google drive apps does? Iperius doesn’t work like google drive app. 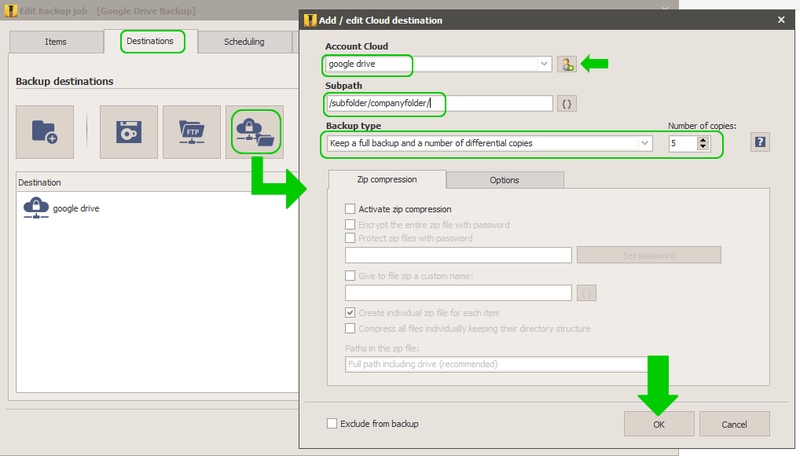 It instead create backup archives and send them to google drive, without any two way syncing. Iperius doesn’t need to move files in a local folder. 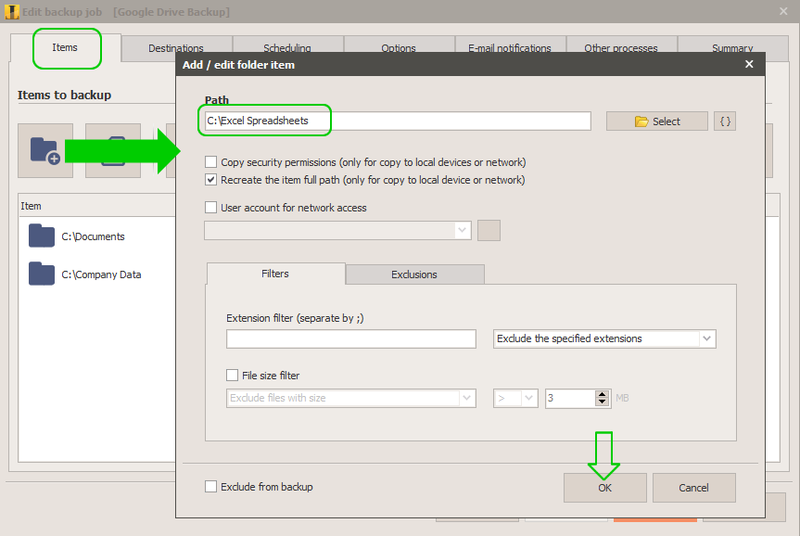 May I do “differential” or “incremental” backups to google drive so I don’t have to backup all of my files everytime? Which programs do I have to use? Simply update to the latest version, the 4.7.0, and the incremental and differential backup to Google Drive can be made. Great software guys! Could you please advice how to backup to Team Drive ? You should be able to redirect files to a specific team drive creating a drive app with a specific user. Well, I though that will be the case, but unfortunately, browse destination windows only shows own Google Drives folders, not the team drives/ shared folders, to which my account has permissions.